Get paid to Read, write, search, shop, test products, review and much more--Learn how to Earn money Online! Australians! Get rewarded for your opinions! Here is a comprehensive list of paid survey panels that accept Australians and reward them for participating in surveys. Join as many as you can to earn more! 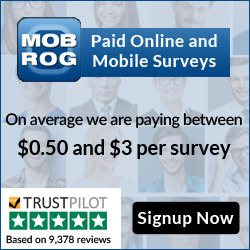 MOBROG Panel is a survey panel Joint for free, share your valuable opinions and get rewarded for your participation. Available to Residents of Australia. Shape the future of the internet and earn while you surf! The panel is open to 18+ Male and Female to residents of Australia, user will need to download the app on their WORK PC after registration. Become a member of the YouGov panel and you will be part of a global community of people who share their opinions in return for points and rewards. This offer is open to residents of Australia (Male and Females 18+). Register for FREE and Earn up to $10 per survey completed and a Sign Up bonus of $5. Collect your rewards easily in cash or vouchers! Join Opinion Plus, a unique market research panel, and get rewarded for sharing your opinion and make a difference in the world. Valued Opinions is a service which rewards you for taking part in market research surveys. Receive up to $5 for each survey you complete. 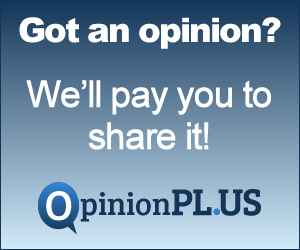 Join Valued Opinions and get rewarded for your opinions! Reward Central is the #1 loyalty program in Australia. Members can Earn cash for completing surveys and offers. Free to join, you can also find great deals on their site. MyView knows you have something valuable to say. Join the Ipsos MyView Panel where you will earn Reward Points for taking surveys..
MySurvey is a free to register Survey panel where members can participate in online research, and get points in return for their time. These points are redeemable for vouchers, gifts and charity donations. Earn My Survey points and prize draw entries for every survey you complete at MySurvey. Global Test Market is a community of people around the world who take online surveys for leading market research companies. It’s 100% free to join, and you get rewarded for your participation. Earn rewards for every online survey you complete. Join Global Test Market for Free today! iSurvey World, It is a free service dedicated to help you earn money completing online surveys. They hand pick for you the best companies willing to pay for your opinions based on your profile so you can earn more money. Join for free and get a list of reliable paid survey panels and start earning money for your opinions today! Join the Spider Matrix panel and get paid for you for your opinion. You will get 1 to 20 points for each survey that you take, and these points are redeemable for cash. Enter your email address to receive latest online earning opportunities, freebies, and Money Saving offers!